Looks just like my Fox trailer. Replace the bungee cords on the ramps with a steel strap w/quick pin and you also have a capture mode for the main wheels. Looks good! 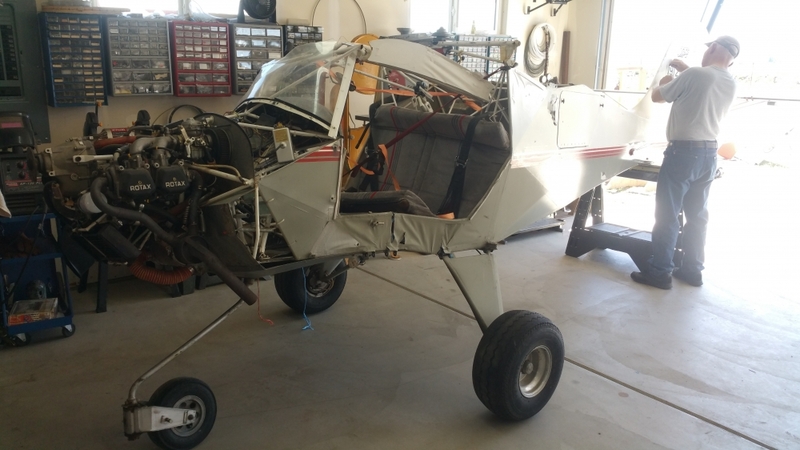 If you plan to haul it any distance I would suggest making a separate tail support off of one of the two frame through holes and not haul it supported on the tailwheel. 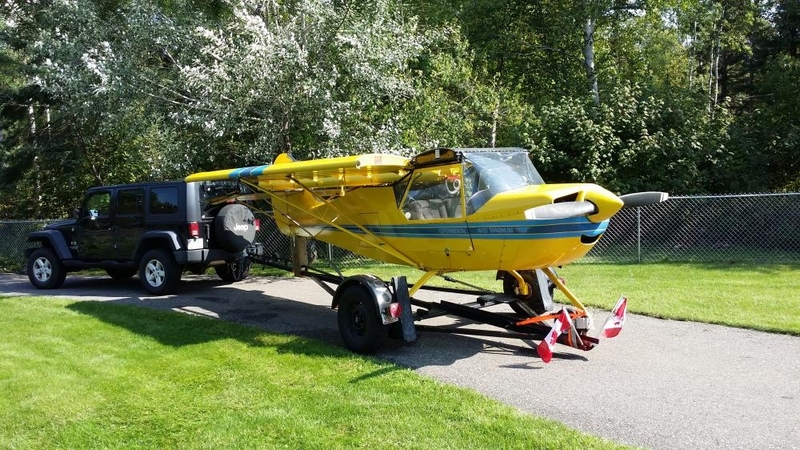 More than a few lower longerons have been bent trying to haul a plane on the tailwheel. Here is the only pictures I could find in short notice that shows what I'm talking about. I would make mine out of steel and easy to install. Nice job! I like that idea. I use an old racecar trailer now. It has the air dam up front which helps quite a bit in deflecting most of the blast and dirt up and over. Here is a picture of the strap. one each side. 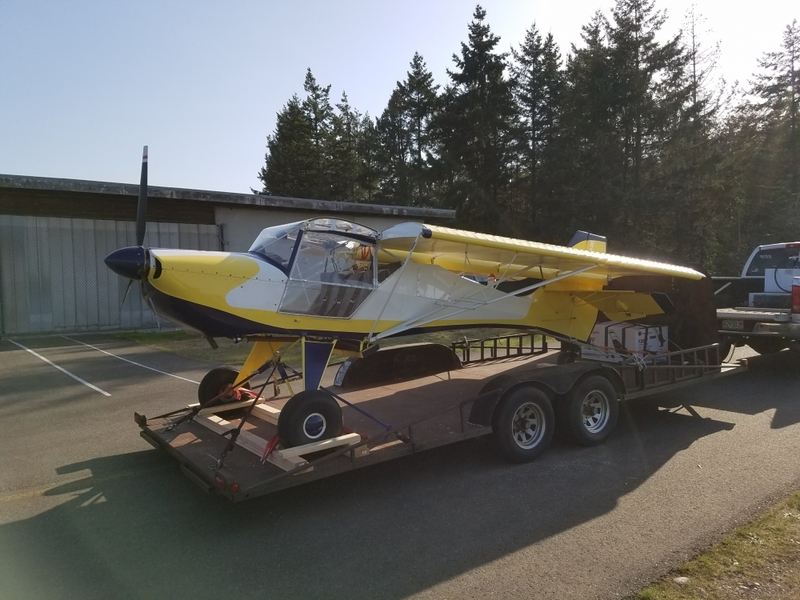 My trailer was included with the aircraft when I bought it. I am curious as to what one cost already built? Since I paid way too much for the package when I bought it and it fits the standard gear Fox, was wondering how much I overspent. But I understand prices are going up on Avid/Foxes, when you can find them. A basic ultralight kit nowdays goes for 15K-20K. OUCH! you can probably pick up a small boat trailer used for 3-500. If your paying someone to do the mods probably 150-200 in materials and another 3-500 for the fabrication and welding. 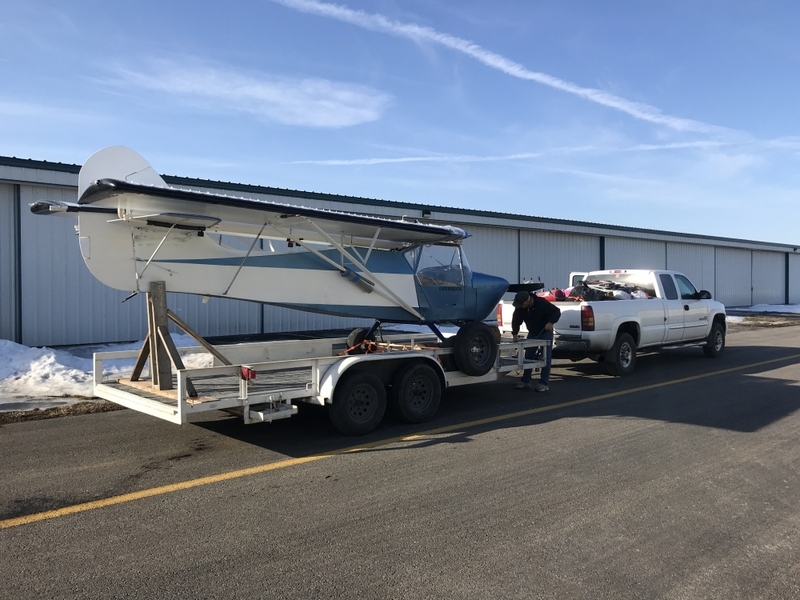 Being able to easily transport your plane safely and not on a 10K rated trailer that will beat the hell out of your plane. Priceless. For everything else there is master card. Yes. If you look at the picture posted above (blue and white plane) you can see one of the gust locks. They are made of PVC, bolts, pipe insulation and a chunk of string. Let me know if you want a better look and I will send you pictures. PS if you go without them, you will wish you had them after you meet the first semi on a two way road or a semi passes you. Things will flap around a lot. I've towed them both ways and found little difference. Main thing either way, is gust locks and secured good. I know I love folding wings but, most damage done is from towing one even on our super glass like highways. I have heard the problem with towing them nose first is it puts pressure into the inside of the wing from wind blowing into the open ends of the spars. Can separate the fabric from the ribs. I spray foamed the open end of the wing spars. Big difference hauling one short distance at low speed (tire/wheel bearing limits) and hauling one across the country on the freeways at high speed. When I bought my Avid in California, I bought an enclosed trailer (8' x 20') to haul it back to Illinois (and later to Florida). Best decision I ever made. Unfortunately, the only one I could find in time was too narrow to load the Avid with the wings attached. 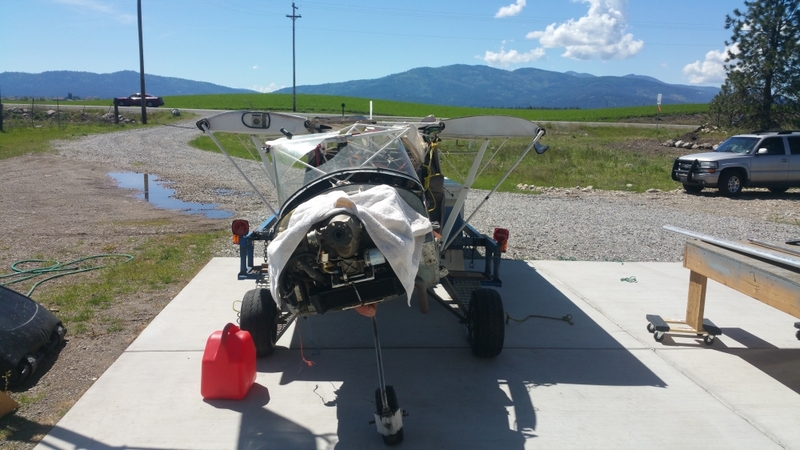 I took off the wing without a fuel tank, not terribly difficult, and easy to reattach. I didn't check the tail, and it is just as wide as the wings are folded so it had to come off also. That one nut buried in the vertical stabilizer is a ROYAL b*tch to get out, particularly at a remote field with only the tools I brought! Still have the trailer 13 years later - probably has 75,000 miles on it by now. Most useful thing I ever bought. I will probably get an enclosed trailer someday. Really makes it nice going to fly-ins. If a storm comes up, put it in the trailer and head home. Can be slept in if necessary. Call me a weenie if you want, I've been stuck a few times because of weather. Enclosed trailers are the berries if you go to fly-ins and double as a hangar. Not cheap, but worth it.